Only a few more days until Spring Break. I think it's a bit crazy that spring break is so early this year. But I'm not complaining. I'll be heading down to Florida to visit family and I love it in the sunshine and when it's slightly chilly out. I was born and raised a Florida girl (NOT a Florida gators girl though..bleck. UGA all the way. Go dawgs), so I'm up for all Florida seasons. I'm already unloading all of my springy clothes (YAY!) and searching for my sunscreen. We will be taking a slight break from Seven during the week of spring break since all of us are staying at different houses and with different hosts. But we will be resuming our final week of the Seven Experiment after returning from the break. If you'd like to hear more about Seven, please read along HERE. It has been a great experience so far. And I have learned so much. I have cried a few tears. And I have definitely realized that I live excessively. I can't wait to do a recap on how the entire month of Seven has been. 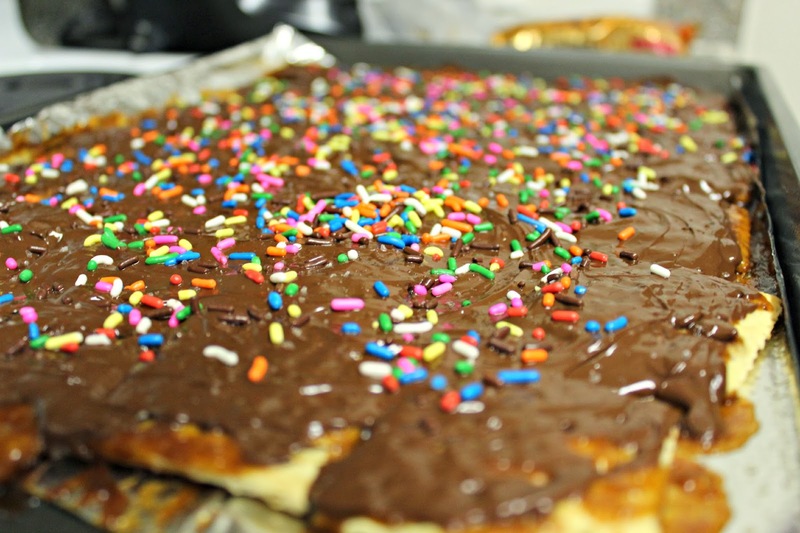 In between packing today, I whipped up my favorite chocolate snackage: Salted Chocolate Saltine Toffee with Sprinkles! A few of my friends are roadtripping for spring break, so I thought it would be the perfect on-the-road snack to give them before they go. 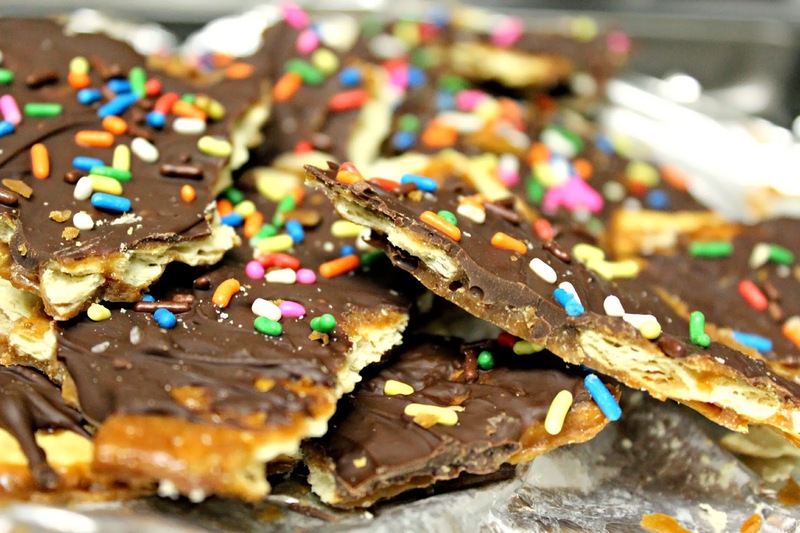 And I'm going to be sending some of this Salted Chocolate Saltine toffee bark to one of my good friends via snail mail. 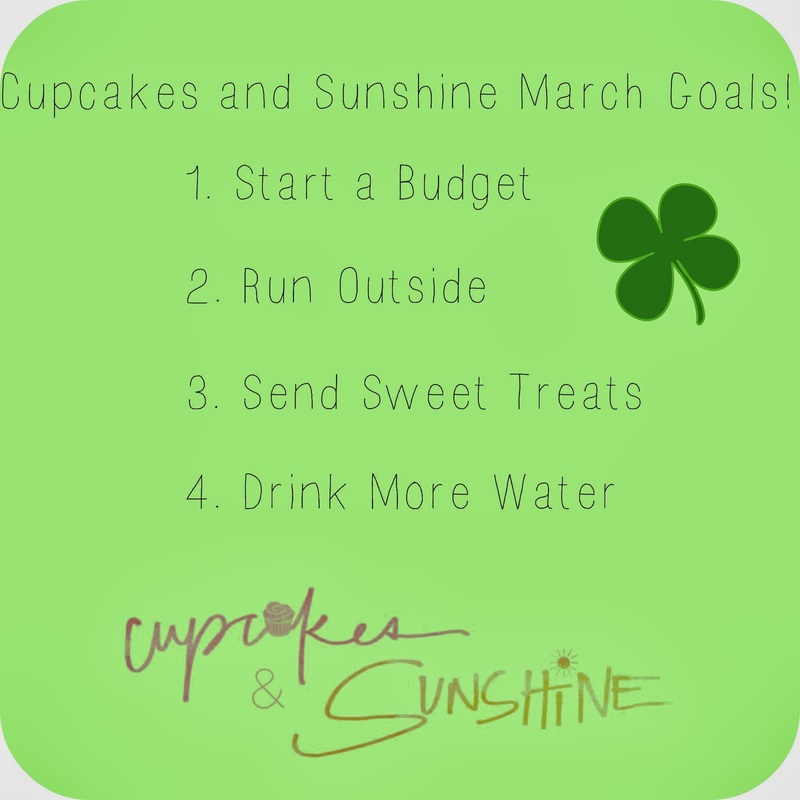 Which means I get to check number 3 off my March goals list. Hoorah! Now let's get to that chocolate snackage, shall we? 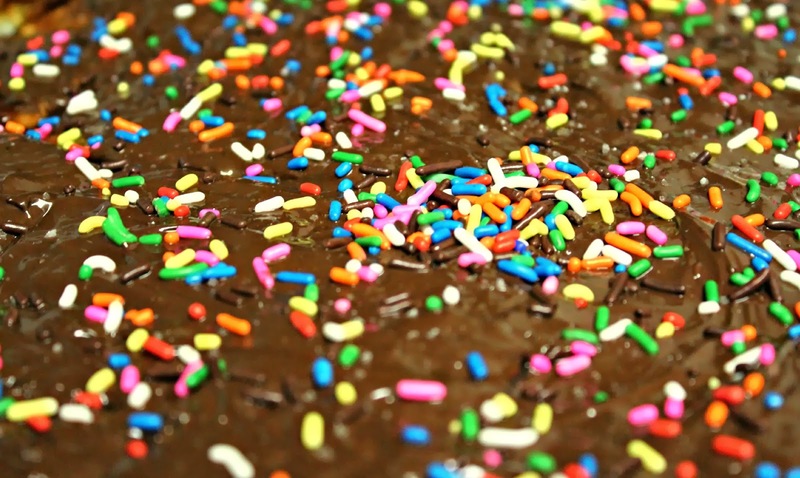 Sprinkles and chocolate...two soulmates meant for eachother. and then we add butter and sugar. This stuff is DANGEROUS I TELL YOU. I have had friends and family BEG me for this stuff. It really is incredible. And super easy to make. 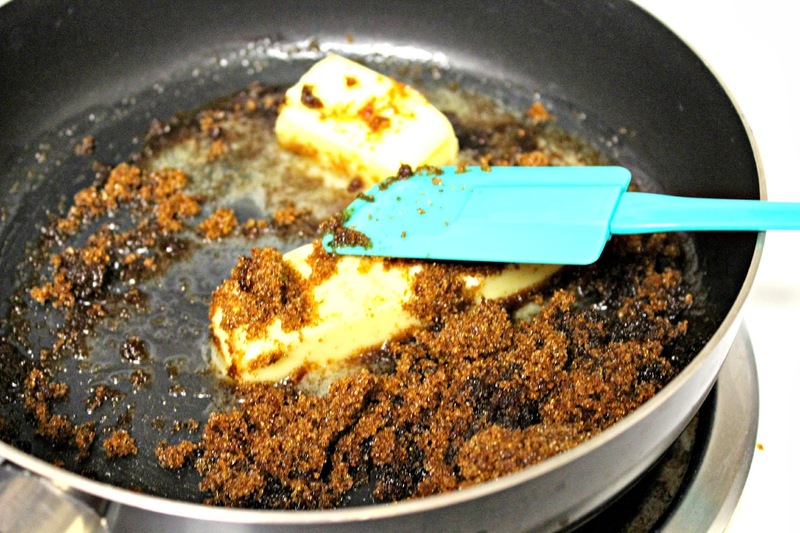 Next, you will want to slowly melt your butter and sugar together on low-medium heat. and bring to a slight rolling boil for about 3 minutes. 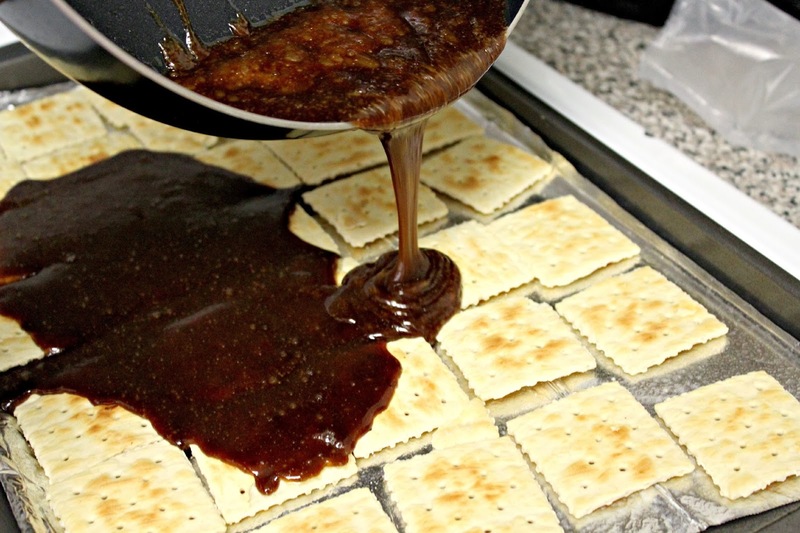 Next, pour the butter and sugar mixture slowly over your Saltines and evenly disperse the mixture across the crackers. 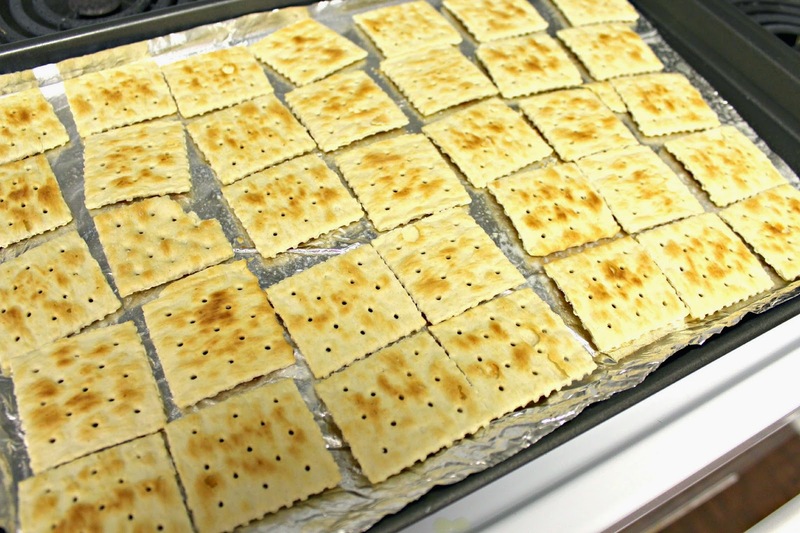 Bake for 3 minutes at 425 degrees in your oven until the mixture on top of the crackers is bubbly. 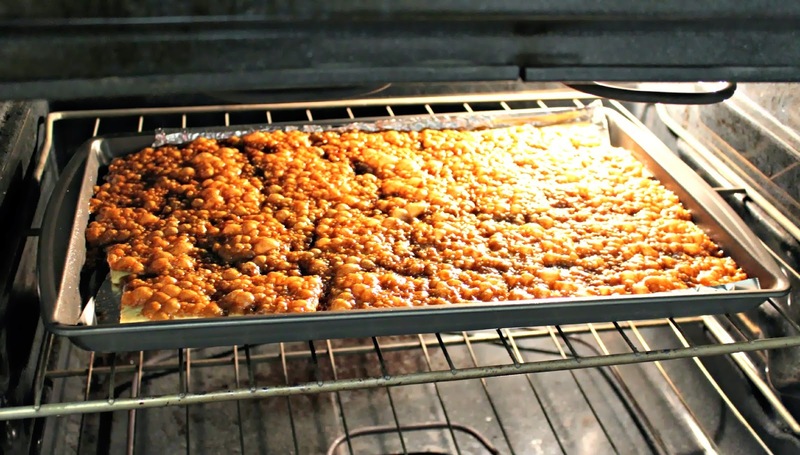 Remove from oven and sprinkle 1 1/2 cups of chocolate chips atop. Wait about a minute or two to allow the chips to melt and then spread them across with a spoon. 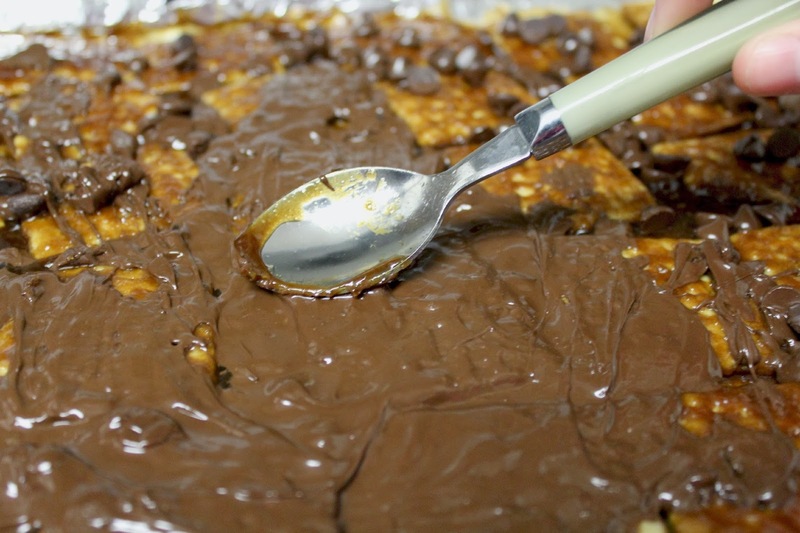 Once you have an even layer of chocolate coating the Saltines, lightly sprinkle sea salt all over. 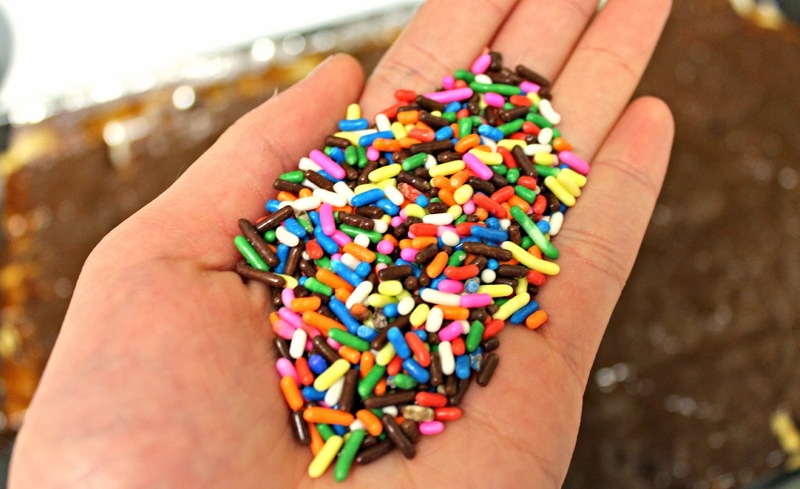 I want all of the sprinkles. 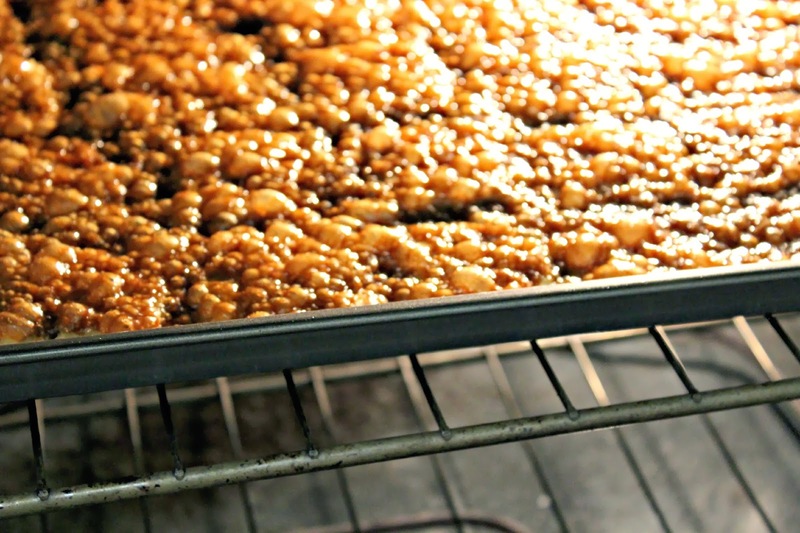 Next, place the toffee bark in the freezer for about 30 minutes. THEN BREAK THAT BARK UP AND ENJOY! 5. Disperse chocolate chips across the mixture and let sit one minute. Then spread. 6. Sprinkle with seasalt and sprinkles and then place in freezer for about 30 minutes to set. thank you, thank you! 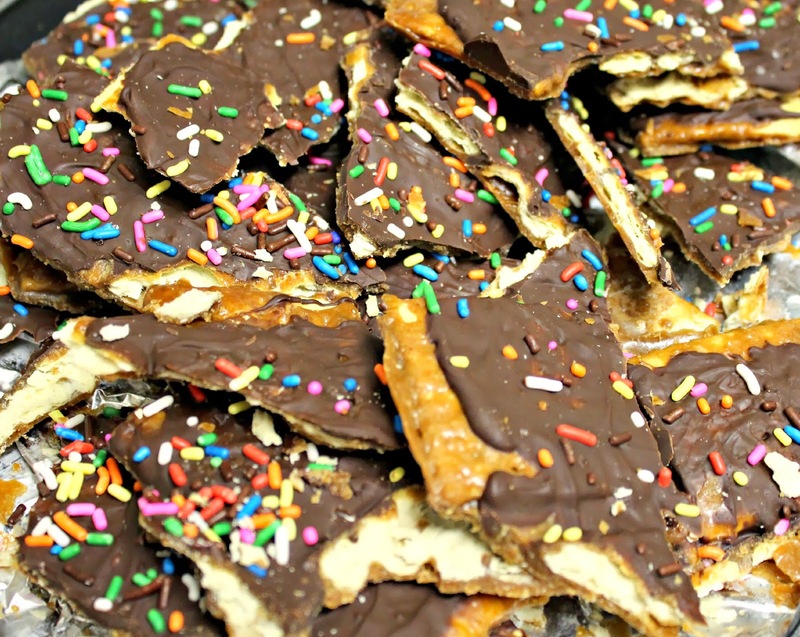 This toffee bark is my absolute favorite. I can't keep out of it. addicting for sure! This looks delicious. I am truly a chocolate & heath nut. Great pictures to go with the recipe! Oh, fun. :) New reader here. I am having a boy in two months and I am thinking these would be god to make with blue melting chocolate chips instead.